Earlier versions of LockerGoga leverage an encryption process to remove the victim's ability to access files and other data that may be stored on infected systems. A ransom note is then presented to the victim that demands the victim pay the attacker in Bitcoin in exchange for keys that may be used to decrypt the data that LockerGoga has impacted. Some of the later versions of LockerGoga, while still employing the same encryption, have also been observed forcibly logging the victim off of the infected systems and removing their ability to log back in to the system following the encryption process. The consequence is that in many cases, the victim may not even be able to view the ransom note, let alone attempt to comply with any ransom demands. These later versions of LockerGoga could then be described as destructive. 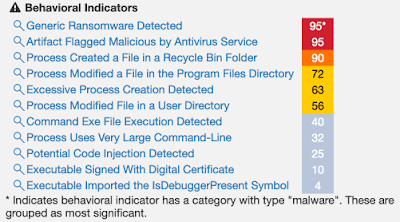 While the initial infection vector associated with LockerGoga is currently unknown, attackers can use a wide variety of techniques to gain network access, including exploiting unpatched vulnerabilities and phishing user credentials. Expanding initial access into widespread control of the network is facilitated by similar techniques with stolen user credentials being an especially lucrative vector to facilitate lateral movement. For example, the actors behind the SamSam attacks leveraged vulnerable servers exposed to the internet as their means of obtaining initial access to environments they were targeting. This was likely an attempt by the malware author to minimize anti-malware detection, as executables that are signed using valid certificates may not be analyzed as rigorously as executables with no signature verification. 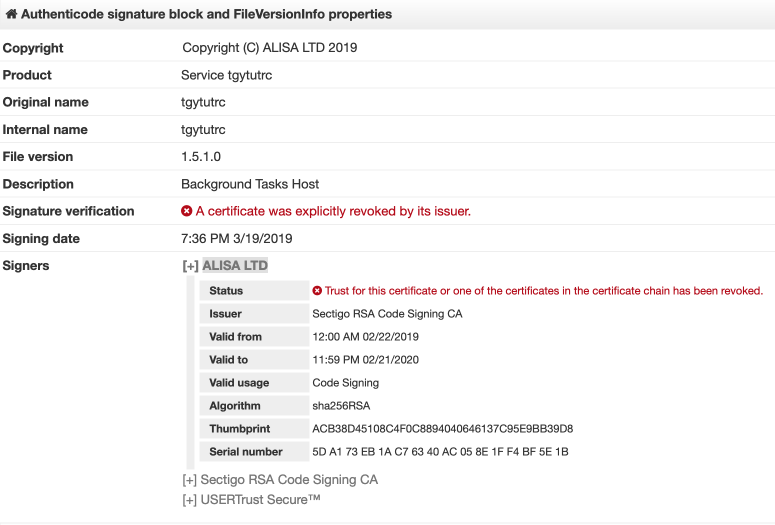 The certificate has since been revoked by the issuer. The ransomware then creates the ransom note and begins the encryption process. LockerGoga supports many of the common types of files that organizations typically use to store important data. As files are encrypted, the originals are deleted and replaced with the encrypted data, which is stored as files with the "*.LOCKED" file extension. 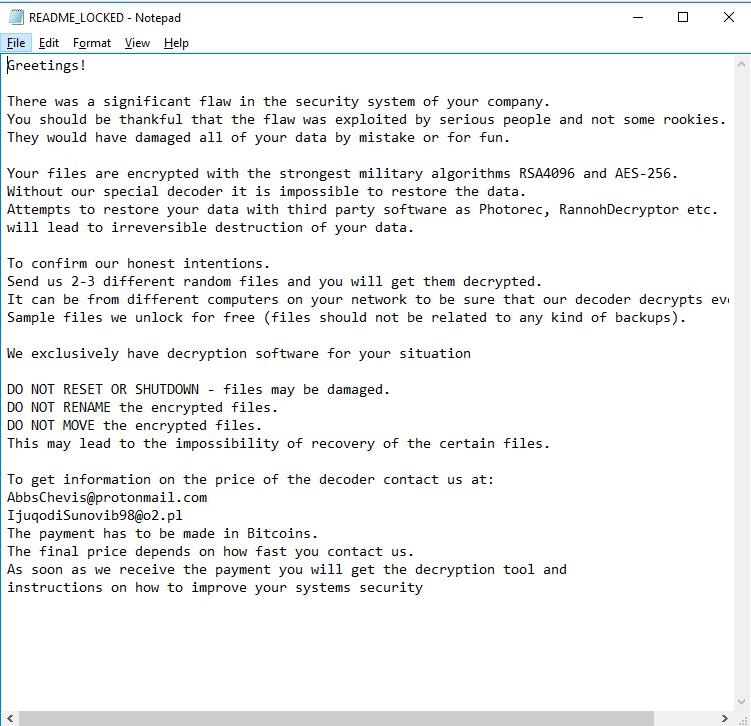 Unlike many ransomware variants commonly observed, LockerGoga also encrypts the contents of the victim's Recycle Bin directory. 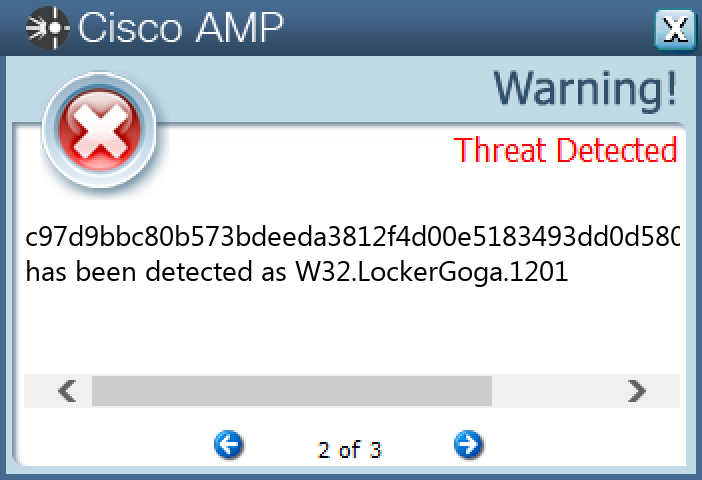 One other interesting aspect of the LockerGoga variant is that the files appear to be encrypted individually. When interacting with the sample, Talos observed commands being executed to encrypt each individual file, an example of which you can find below. This isn't commonly done since it's inefficient and creates overhead. There also does not appear to be a dedicated command and control (C2) structure set up to facilitate remote connectivity with the attackers. 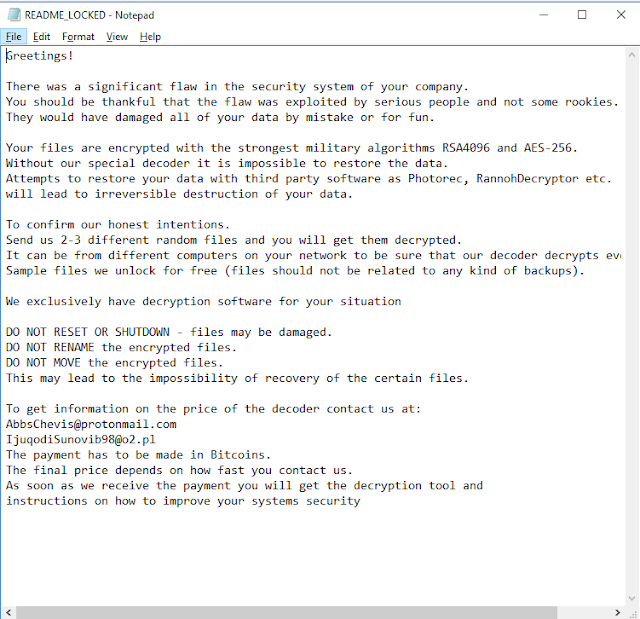 The attackers are also offering to decrypt a small number of encrypted files for free as a way to further convince victims of the legitimacy of the operation and maximize the likelihood that the victim will pay the ransom demand. 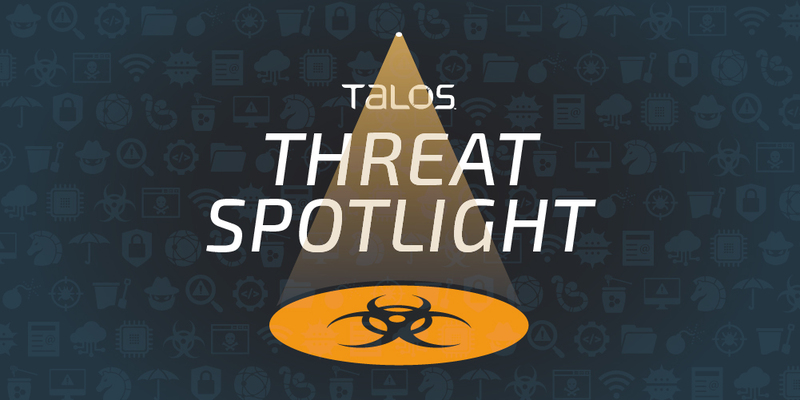 Additionally, Talos has observed no evidence to suggest that LockerGoga has the ability to self propagate across hosts on a network where an infection has taken place. 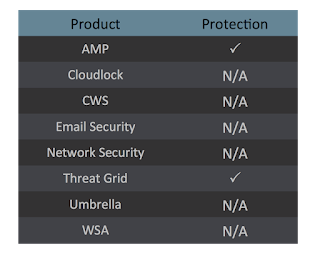 Advanced Malware Protection (AMP) is ideally suited to prevent the execution of the malware used by these threat actors. Try AMP for free here.